Bel Air Orthodontics is always looking for ways to provide our patients with the latest cutting-edge technology. With that in mind, we’re excited to announce that our practice is now using the iTero Element Digital Impression Scanner. This technology makes it possible to create digital impressions in just a few minutes, without the need for messy putties or the gooey discomfort associated with other traditional impression techniques. The iTero Element Scanner ensures a more accurate impression from the first appointment, resulting in a more efficient and comfortable experience for our patients. Digital impressions also give us the benefit of seeing the teeth instantly in 3D, so that patients can watch first hand as their model is generated on screen. From this scan, we create digital study models, formulate an orthodontic treatment plan, and generate Invisalign® aligners and other orthodontic appliances. 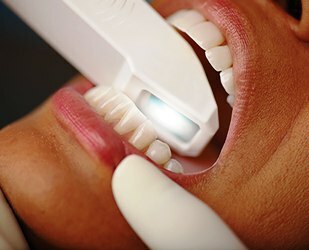 The iTero Element scanner digitally captures the structure of the teeth and gums at 6,000 frames per second using break-through optical technology. The scanner is a small, hand-held wand that is connected to a portable computer screen. The scanner is simply held over the teeth, where it quickly and comfortably scans all sides to create a 3-D image that is digitally saved. The scanned image is instantaneously displayed on the computer screen, improving communication during the consultation and treatment process. Ultimately, this new technology makes the all-important impression process quick, convenient, precise and comfortable. 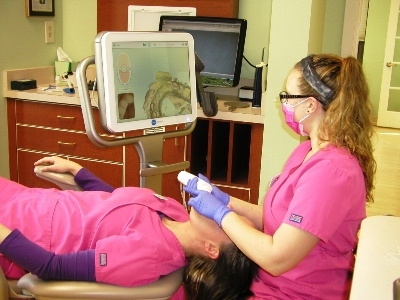 With the iTero Element digital scanner, we hope to make a great first “impression” with our patients! To learn more, visit www.itero.com or watch their latest video.